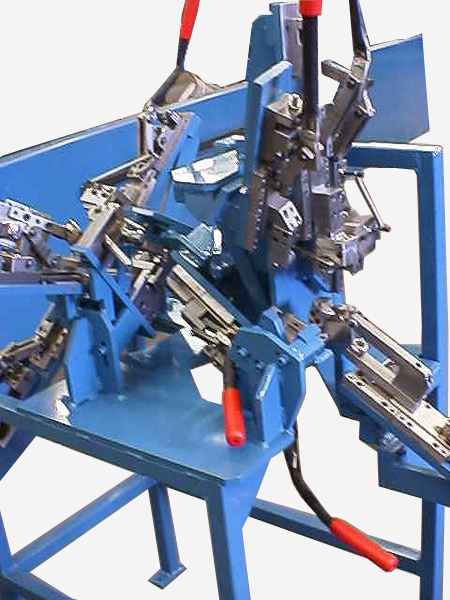 Manually Operated Bending Fixtures are typically designed and built when production volumes are low. Parts requiring a large number of bends are typically broken up into several smaller fixtures. With the use of 3D modeling software, Excel Machine & Tool, Inc. can maximize the number of bends which are produced in a single fixture. 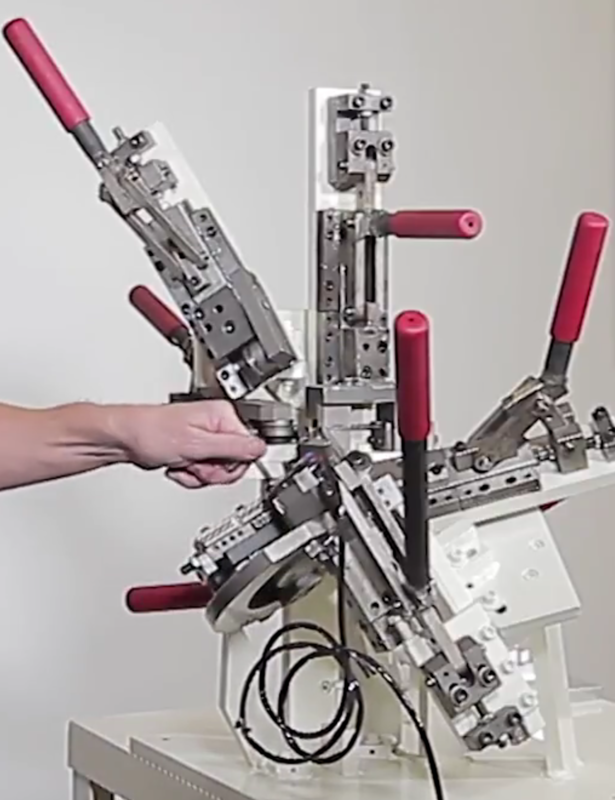 By reducing the number of fixtures required to bend complex parts, higher production rates can be achieved. Part quality is also higher when fewer fixtures are used. Similar to our Semi and Fully Automated Bending Machines, the part locators designed in our Manually Operated Bending Fixtures are designed to avoid incorrect loading of components. The design of the locators improves part quality by preventing part defects. Bending fixtures built by Excel are designed to be mounted to a work bench or held securely in a vise. Fixtures can also be supplied mounted on a heavy duty stand made from 2 x 2 x ¼ wall angle iron. A process similar to the design of our Semi and Fully Automated Bending Machines is performed to produce our Manually Operated Bending Fixtures. Starting with a 3D model of your part, bend tooling is designed around your part and a fixture base is added. Once the basic design is completed, the design is reviewed for ease of operation and, if necessary, modifications are made. The end result of Excel’s design process is a complete 3D model of your fixture. In the event that the original part print is changed, the original fixture design can be reviewed and updated with potential tooling modifications. Major modifications would require the fixture to be returned to Excel’s facility. Impact to your production would be minimized by have any new tooling machined and ready to install prior to the actual return of the fixture.